The Centre today urged the Supreme Court to bar the High Courts from entertaining public interest litigations pertaining to demonetization of Rs 500 and Rs 1000 currencies and wanted a stay on all pending proceedings before High Courts across the country. Attorney General Mukul Rohatgi mentioned the matter before a bench headed by justice A R Dave as Chief Justice T S Thakur was presiding over a constitution bench. Justive Dave led bench then assured Rohatgi that the matter will be listed for urgent hearing tomorrow before the regular bench headed by Chief Justice Thakur. Rohatgi was of the view that parallel hearings will result in confusion and chaos on the issue. “The supreme court is already examining the issues and passing orders and therefore the high courts and lower courts needed to be restrained from hearing pleas to prevent unnecessary confusion and chaos”, he submitted. Two more PILs were filed in the Bombay High Court on Tuesday highlighting the common man’s problems post-demonetisation. Although neither petitions sought any writ against the government’s decision, suggestions were made by one of the petitioners Anil Chitre. Chitre, a 30-year old businessman from Mumbai, alleged that “black money hoarders, in a bid to secure their unaccounted cash which was presumably in high denomination notes, made desperate attempts to exchange the stashed cash for available change in the market”. As a result, there is a dearth of “change” in the market. 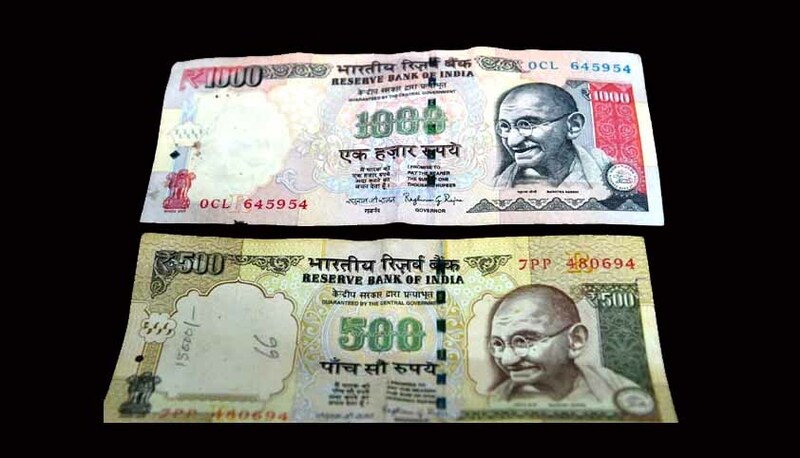 The other petition alleged that since no advertisements are allowed on denominations that are legal tenders, the Swachh Bharat logo on the new Rs 2,000 note was illegal, hence, the circulation of these notes should be “stayed immediately”. Madras High Court has already dismissed a public interest litigation on the issue.